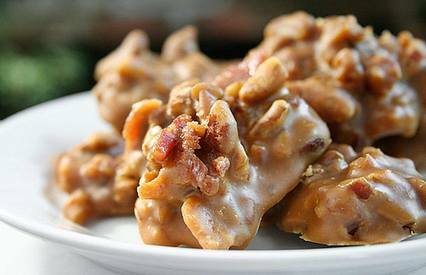 Buttermilk Bacon Pralines taste completely different from the original – surprisingly savory, as well as sweet, creamy, crunchy and wonderfully nutty. So, it’s good that pralines are so easy to make. I’m not exactly sure what type of party should serve these hors d’oeuvres, but in the words of Liz Lemon, I want to go to there.